HTC is struggling to make its mark in the smartphone market again, as the company wasn’t able to impress the users with its phones last year. We aren’t saying that the phones were terrible. In fact, the HTC U11 and U11+ were superb devices, but the late launch, old design language (in case of the U11), and the pricing ruined everything for HTC. The company is now all set to launch its flagship device as the launch event for HTC U12+ is happening on May 23. Evan Blass posted the official press renders of the smartphone along with the full spec sheet on his official Twitter handle, so everything is out now. Talking about the design of the phone, the U12+ looks pretty similar to the HTC U11 Plus from the rear as it too has an 18:9 display on the front. It is good to see HTC not going for a notch design yet. But, there are reports that the HTC U12 Life is coming with a notched display. Anyways, talking about the U12+, it has a dual rear camera setup. This is something we wanted to see on last year’s HTC U11 and U11 Plus. The design of camera setup looks similar to that of the LG V30. The HTC U12+ has dual cameras not only on the rear but also on the front. We will talk about the camera specs later in the article. The volume rockers are present on the right along with the power button. The phone has no 3.5mm headphone jack, and there is a USB Type-C port on the bottom. As seen in the renders above, there is also a variant with a translucent rear panel which lets you have a look at the internals of the phone. The HTC U12+ has pressure sensitive buttons and has a new touch feedback experience. The dimensions are 156.6×73.9×8.7-9.7mm, and it weighs around 188g. The phone is also IP68 dust and water resistant. Coming to the specifications, the HTC U12+ has a 6-inch Quad-HD+ Super LCD 6 18:9 display with a resolution of 2880×1440 and a pixel density of 537ppi. The screen is protected by the Corning Gorilla Glass 5. The display comes with HDR10 support as well. So, there is nothing new regarding the screen as it is the same panel as on the U11 Plus of last year. The octa-core Snapdragon 845 processor (up to 2.6GHz) powers the phone along with Adreno 630 GPU and there is 6GB RAM along with 64/128GB internal storage. The phone supports external microSD card up to 2TB. Talking about the camera department, the camera specs seem pretty impressive. There is a dual rear camera setup that includes a primary 12MP wide-angle lens with HTC Ultrapixel 4, f/1.75 aperture and a 1.4μm pixel size. The secondary camera is a 16MP Telephoto lens with f/2.6 aperture and a pixel size of 1.0μm. The cameras are equipped with Ultraspeed Autofocus 2 (Laser AF + PDAF), 2X Optical Zoom (10X Digital Zoom), HDR Boost 2, OIS, Bokeh Mode, Dual LED Flash, AR Stickers, Face Detection, Pro Mode, RAW support, Panorama and more. On the front too, there is a dual camera setup that includes dual 8MP lenses with f/2.0 aperture and 1.12μm pixel size. The front camera features include Bokeh Mode, AR Stickers, HDR Boost, Face Unlock, Screen Flash, Live Makeup (WTF! ), and more. As for the video recording, the rear cameras can shoot up to 4K videos at 60 fps and Super Slow Motion 240fps videos at 1080p. Other video features include Sonic Zoom, OIS, Hyperlapse, High-Quality Audio Recording, Audio Boost and advanced 360-degree 3D audio, thanks to the four microphones. HTC’s flagships are known for their audio features, and the U12+ is not an exception. Some of the audio-related features include HTC Usonic with Active Noise Cancellation, HTC Boomsound Hi-Fi Edition. Hi-Res Audio Recording, Hi-Res Audio Certified, Qualcomm aptX HD, LDAC up to 32-bit high-resolution wireless audio via Bluetooth, etc. There is a 3,500mAh battery under the hood that supports Quick Charge 3.0. Interestingly, there is no Wireless charging mentioned as we were expecting it on the U12+. Android 8.1 Oreo runs out of the box, and the phone will surely get Android P update. Some other features include HTC Edge Sense 2, Always ON listening support for Google Assistant and Alexa, Edge Sensor, USB 3.1 Gen 1, USB Type-C, Bluetooth 5.0, NFC, HTC Connect and more. Overall, the specifications of the HTC U12+ are impressive, but it is sad to see no Wireless Charging mentioned in the leaked spec sheet. We cannot say how the cameras are going to perform but specifications wise, they seem great. The launch is happening on May 23 so just a few days are now left for the announcement. 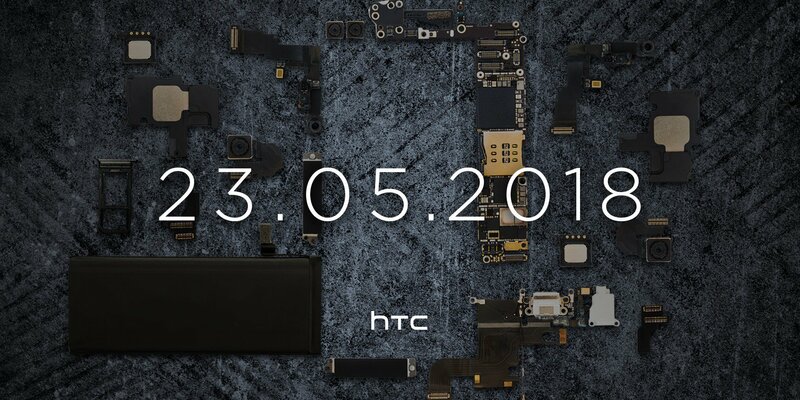 We hope HTC won’t screw it all up with bad pricing.